We'll be looking forward to seeing photos of your watch on the blog ! 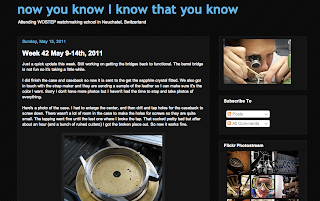 You've been a great inspiration to many people who are contemplating a career in watchmaking ! Oh ! If you're ever interested, do pay us a visit ! Bring your watch ! Henrik will be delighted to see it and so will the other students ! Could i have an email i could contact you on ? Henrik would like to send you an email to say hi ! And oh yeah, your blog is seriously good. It does wonders to watchmaking education and awareness in general. I hope that you won't stop blogging even after you leave WOSTEP. It will be such a shame ! 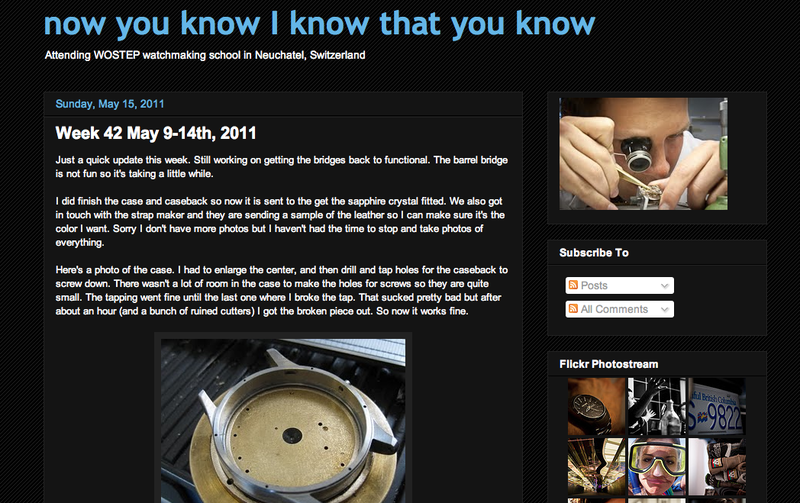 Many people who read your blog have been inspired to try out watchmaking school. Tell Henrik I say Hi as well. I remember him from my entrance exam at Wostep back in 2007. Not sure what he thought of my watchmaking competence (A Canadian watchmaker?) back then but I suppose there is proof now haha! Anyways, I'd love to visit, hopefully next time I'm back in Switzerland I will have time for a visit. Oh, and please do visit us when you're back in Switzerland again. Hopefully our school watch would have been finished as well so you can have a look at it first hand !